We dispense both NHS and private prescriptions and will give informed advice on how to get the most benefit from your medicines. We keep a comprehensive stock of medicines and use a fast and an efficient wholesaler service to enable us to fill all prescriptions promptly. ANYBODY can now have have their prescriptions dispensed by us, regardless of whether they live in or outside Hadleigh. For Dr Flather & Partners patients you can just drop off the white slip having ticked the boxes for the medicines you require and give us 48 working hours (excluding weekends and bank holidays) to get them ready for you. Or if you want your life to be even easier then just ask to join our ‘Repeat Prescription Service’ which enables us to automatically order and dispense your regular prescription ready for you to collect every month. We can fill ‘dossett’ boxes to make it easier for you to take your medication. If you have difficulty reading the labels on your dispensed medicines we offer a range of services such as making the type larger, or providing a chart for you so that you know when to take your medicine. 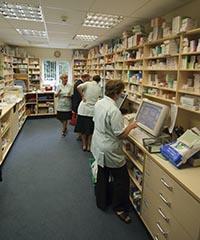 Our pharmacists and trained dispensers can advise you on safe storage of medicines. Our pharmacists and our trained dispensers are available for advice on all medicines and minor ailments, in private if required. We can also give you advice on how to live a healthy life, for example, advice on how to stop smoking, or how to eat healthily. We provide a range of free health promotion information. We have a team of highly experienced pharmacists and dispensers who will be able to give you advice on your healthcare needs. If for some reason they are unable to help you we will provide you with information about other healthcare professionals and advise if you need to see them. You may wish to have an alternative to visiting your GP for personal matters such contraception and pregnancy advice or information on sexually transmitted diseases. At Mill Pharmacy we have a confidential consulting room where you can discuss these issues which our pharmacist. Our pharmacists are appropriately trained and accredited to supply emergency hormonal contraception or, as it is more commonly known, the morning after pill. However patients will be charged for the medication. Please ask our pharmacist for more details. In addition Chlamydia is a sexually transmitted disease which is common in young people. It can be easily detected and we provide kits free of charge for 16-24 year olds to test for it at home. Please ask at the pharmacy for more information. We can provide you with a range of support if you have decided to give up smoking. We run clinics in parallel with those offered by the medical practice. You can make an appointment with one of our pharmacists to discuss how you are getting on with your regular medicines. It will allow you to learn more about your medicines and ask any questions you may have, and if you are having difficulties taking your medicines our pharmacist may be able to assist. Ask for more details on this service. If you need one of your regular medicines in an emergency when you are unable to contact your doctor, for example over the weekend, we may be able to help. 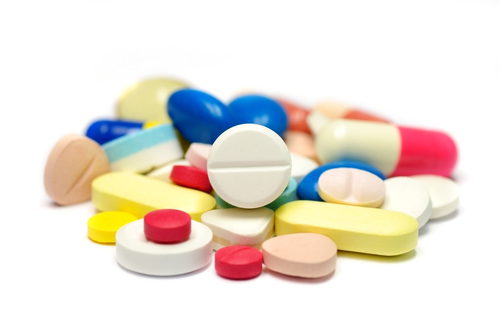 We accept all your unwanted medicines at the pharmacy where we will dispose of them safely. Our pharmacists are trained and competent to provide the NHS Repeat Dispensing Service, where offered by your surgery. Please ask the staff for details about this service. We keep a variety of medicines which do not need a doctor’s prescription. Gastric remedies – for indigestion, heartburn, upset stomachs and IBS. wrist supports, feeder cups, 7 day pill dispensers. Family Health - treatments for worms, headlice, nappy rash and colic. You can seek our advice about trusses and stoma and incontinence supplies. We understand it is embarrassing to talk about these problems so we have a consulting room where you can speak privately to our pharmacist. 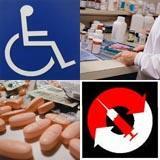 We can obtain an extensive range of disability aids usually within a few days. Just ask to see our catalogue if you require any item and we will be pleased to order it for you. We also have facilities for disabled parking, access for wheelchairs and disabled toilets. In addition, if you are housebound or have difficulty getting out please ask our staff about our free home delivery service.